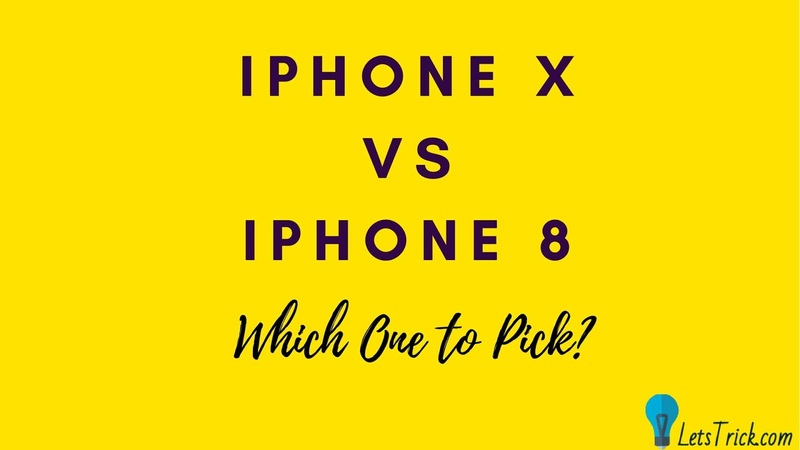 Home iphone iPhone X vs. iPhone 8: Which One to Pick? Apple has finally unveiled its new flagship phones and the excitement is building. The big unveiling ceremony didn’t just reveal one new phone, but essentially three – although one of them is just an upgrade of the other. Both the iPhone X and the iPhone 8 looked stunning. So, how are you supposed to pick between them? Let’s examine the pros and cons of each phone to help you decide which one to buy later this year. Now, in terms of the price, you will find the iPhone X a lot more expensive. However, it’s a good idea to keep an eye out for discounts, such as Argos promo codes, to see if you could find early bird offers to buy the phone. But in terms of price, if the price tag is the only thing you care about then you shouldn’t even consider the iPhone X. The post won’t focus on the price too much just for this reason – the iPhone X is the most expensive iPhone out there and you have to fork a stunning $1,000 to buy it. However, if the price is not the only thing that matters, here are to pros and cons of each phone. The phone is impressive in its design and it oozes a very futuristic look. The phone has a 5.8-inch edge-to-edge OLED screen and the frame is stainless steel. The phone is not too big nor too small, fitting comfortably in one hand. The OLED screen will provide you with great contrast – it is better than what you’ll get on the iPhone 8. The iPhone X screen also supports HDR video. Now, the coolest thing about the phone is its face ID technology. To unlock your phone, you will just need to use your face. This new face ID technology will probably come to all iPhones in the near future but if you want to be at the front of the trendsetting line, then get this phone. The face recognition software also allows you to use Animoji. This system mimics your facial expression and allows you to create emojis with it. Aside from the price tag, the iPhone X is something totally new and not everyone will like losing the Touch ID button. To unlock the phone, you need to use your face – every single time. The gestures for going on the home screen and multitasking just look a little clumsy right now. What about the iPhone 8? Well, the phone is the first to support wireless charging (although iPhone X will also have this). The whole phone is made of glass which can either be a hit or a miss in your mind – but it does look good, nonetheless. The phone comes with the same A11 Bionic processor as the iPhone X and this is going to give your phone a lot of speed. It also allows you to play with cool augmented reality tricks. The screen will support True Tone, which means the appearance and color will adjust according to your surroundings. You’ll also get to enjoy the same primary camera on all three phones and you are able to record 4K video. If you own an iPhone 7, then you might be happy to hear the iPhone 8 will fit into your existing iPhone 7 cases. The iPhone 8 screen is smaller than the iPhone X and the iPhone 8 Plus. If you like watching videos on your phone, then you might find the drop in resolution and screen size troublesome. Now, the worrying thing about the iPhone 8 is the battery size. It is the smallest battery of the new iPhones and how well it performs is still unknown. Apple has said it would provide similar battery life to the iPhone 7 but it’s not sure yet if this is the case. In addition, it should be better since it is a new phone. So, there you have some pros and cons of both phones. As mentioned, if you are all about the price, then don’t even think about buying the iPhone X. However, if you find a good deal and you want something different, then the phone will offer you plenty of cool features and tricks. If you can afford it, the iPhone 8 Plus might be a better pick than the traditional iPhone 8. It has a better camera, battery life, and a bigger screen. However, the screen is rather large so you might not appreciate it – using the iPhone 8 Plus with one hand is a struggle. The phones are definitely worth looking into if you are an Apple fan. For most of us, the iPhone 8 will be the preferred choice to make.